You are here: Home / Essential Oil Recipes / Are Essential Oils Safe for Pets? 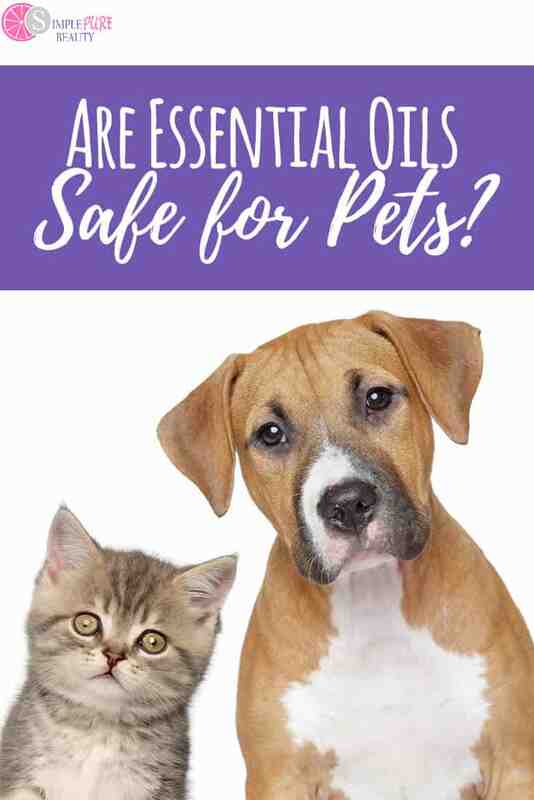 Essential oils and pets – are they safe? You love them for yourself but can your pet be in the same room? Learn safety precautions here! Sometimes one essential oil viral facebook post can be enough to scare the pants off of people when it comes to using essential oils on and around their pets. If you have pets in your home, I do believe their safety and health are just as important as yours. But don't always trust what you read online because there is a lot of misinformation out there. When using essential oils for aromatherapy and other treatments, you do need to consider your cats, dogs, and other pets. Are essential oils safe for animals? Having pets doesn’t mean you can’t use essential oils for yourself. There also are some essential oils that may help your pet when used properly and safely. You must simply take appropriate cautions. Here are some simple ways to help keep your pets safe around essential oils. Do NOT allow pets to ingest essential oils unless specifically labeled for ingestion. Do NOT apply essential oils to any areas your pet can lick. Essential oils should not be applied to or near eyes, mouth, nose, ears or genital areas. Keep essential oils stored in a locked high cabinet, just as you would with children. Always have a safe well-ventilated area that is free from essential oils. Dilute the essential oils safely for both yourself and your pet. Never use full strength. Be extra cautious around cats, as they are more sensitive. 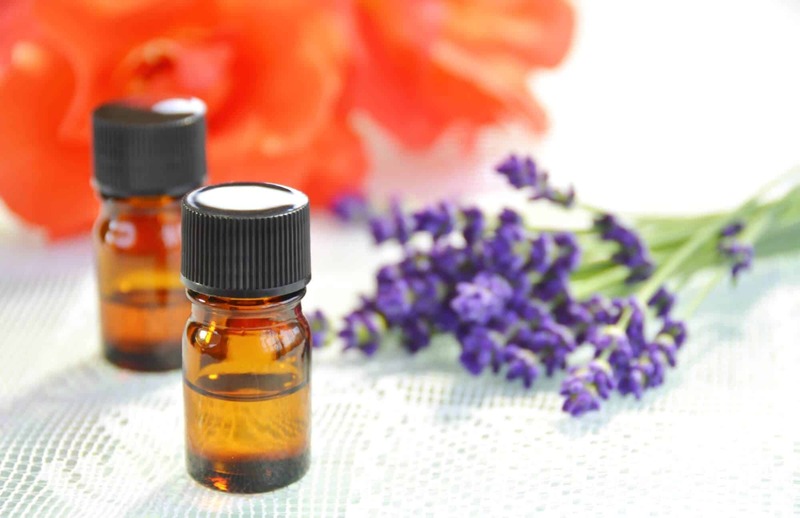 Never use essential oils around puppies or kittens, near fish tanks, or around birds or small animals (rodents, reptiles, small mammals, etc.). Gradually introduce oils and only use with vet approval. Get to your vet right away for excessive sniffing, scratching, vocalization, head shaking, lethargy, nervousness, or any other concerning signs. Timing is key. If you choose to use unsafe oils for your pets, use them in a closed area away from your pets and do not allow your pets in that area. Also, be sure the aromas are not on your body when interacting with your pets. Be extra cautious using essential oils that contain phenols, as these can be toxic to pets. Never use any citrus essential oils around cats. There are some essentials oils safe for animals, according to many. Each animal is different, as is each oil, so always ask the vet first. Here is a list of essential oils said to be safe for pets, along with their uses. These have been used for pet aromatherapy or skin therapy when properly diluted. Peppermint essential oil may help repel pests, as well as help to relieve the pain from hip and arthritis issues. Frankincense essential oil has been used as an immune system booster. Lavender essential oil has been used for car anxiety, general anxiety, stress relief, burns, ulcers, insomnia, and stress. Myrrh essential oil has been used to help promote healthy skin and fur, as well as to fight sniffles. Cedarwood essential oil can be used to help repel pests. Clary Sage essential oil has been used to promote calmness. Spearmint essential oil may help with some digestive issues, as well as help promote healthy weight loss or balance weight. Ginger essential oil may aid in digestion. Carrot seed essential oil may help with skin dryness issues and promote healthy skin. Helichrysum essential oil is said to promote skin regeneration, repair nerves, and reduce bleeding in accidents. Fennel essential oil may help break down toxins and fluid within tissues. It also may help to balance pituitary, thyroid and pineal glands. Cardamom essential oil is said to aid in digestive issues and has been used as a diuretic. This is not a complete list (always ask your vet). As with any product, you should always use safety tips that ensure these are safe around your pet. With proper care and safety tips, as well as a talk with your vet about your pet’s specific needs, it is possible to use essential oils for yourself if you have pets. It also may be possible and beneficial to use very specific ones with your pets. Simply take appropriate pre-cautions, take your vet’s advice, and be sure your pet is not around anything they shouldn’t be. Do you use essential oils around your pets?